Question: What is the best way for an executive to distinguish themselves from all of the other executives chasing the same positions? This is one of the most important issues all candidates must tackle during a job search. In today’s job market companies are very specific when hiring. You cannot be a jack of all trades. You must be the king or queen of your trade. So it is imperative you determine what distinguishes you from others. Most candidates have a hard time doing this for fear of being excluded from a possible position. I disagree. Candidates should find their sweet spot and build a search around that, instead of around some long shot opportunity that might come their way. I have coached many executives and they all have something that makes them unique. It may be international experience, M&A, turnarounds, startups, changing a company’s culture from dysfunctional to one that thrives on success, a specific technology, and so on. I recommend you survey your peers, bosses, customers, vendors, subordinates, trusted advisors, for what they believe distinguishes you from other executives. Once you know these then build your brand and job search around those distinguishing characteristics. Why Are You Still Unemployed a Year Later? You’re still unemployed because your job search is ineffective. It’s not appealing when you play the victim and adopt a LOSER mentality. 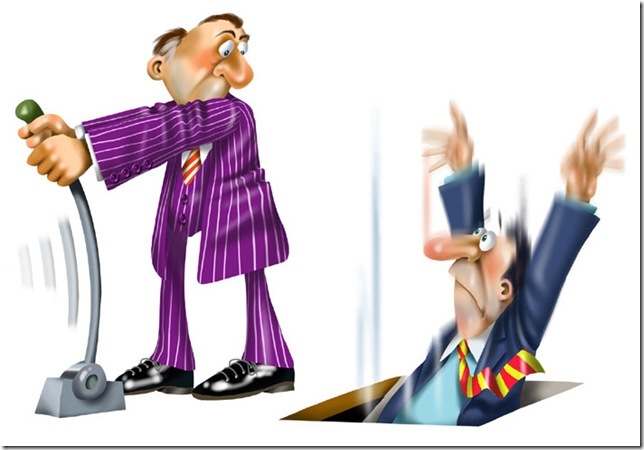 Yes of course – the bad economy does make job search more difficult. Yes of course – there are fewer jobs available than when it’s a thriving job market. Yes of course – most recruiters have nothing to work on – so your phone is not ringing. Yes of course – in a down job market – most employers are box-checking waiting for the perfect candidate who fits every item on their job description: “You’ve only got 7 years of food service distribution experience into Mexican Restaurants with greater than 50 rooftops in the NW region of the country – Gee whiz, we need someone with 8 years of experience selling to chains with more than 65 rooftops.” Many employers are nitpicking the details of your background – not focusing on whether you can achieve their desired results. I know all these problems. I’ve seen candidates face them in 5-6 recessions over the last 25 years and not one of the issues related to job search frustrations is different today than it was in 1985. However, the process of conducting a job search has changed dramatically and the vast majority of candidates DO NOT GET IT or are IN DENIAL over how to conduct an effective job search. A few weeks ago, my partner, Brad Remillard, ran a survey on LinkedIn regarding length of time currently unemployed executives and managers have been unemployed. In an unscientific survey/poll of executive and managerial candidates, Brad discovered that over 75 percent of those currently unemployed had been unemployed for approximately one year. Frightening. Unimaginable. Shocking. Frustrating. Incomprehensible. I just cannot understand how anyone – unless they have a bottomless pit of money – or their spouse is the significant bread-winner – can survive for a year without working. I hate to be the harbinger of bad news – but prepare yourself for a job market that’s close to crashing again – as if it couldn’t get any worse. We could be 18-24 months away from a job market recovery. I just finished an interview with a candidate for one of my National Account Sales Manager Searches. Before I started interviewing the candidate (let’s pretend his name is Bob to protect the innocent), I asked him some questions about his job search (an informal survey I am conducting with EVERY candidate whom I interview). Little bit of background first: Bob has an outstanding proven track record of success for a position in area that I am recruiting for. I would suggest that there are probably at least 20-25 of these searches going on at any time. Some are being done directly by the company through traditional advertising, some are being conducted by recruiters (such as yours truly), and some are in the “hidden job market”– no recruiters and no advertising – just good old classic networking and referrals. Every response that Bob gave me to my questions about what he was doing on his job search to find a new job was very similar to the candidates I’ve spoken to since the start of this year. Let’s peg that overall number at roughly 500 candidates based on 20-25 candidates a week. I’ve got a dozen examples of why Bob’s job search is ineffective. It’s not one thing that’s leading to job search failure – it’s the fact that he’s not doing all 12 things effectively. I asked him what has he done on LinkedIn to create a compelling profile. He thought he had done a good job. I viewed his profile and it was far from compelling. In fact, I’d give it “D”. Obviously, he has not invested the time to create a compelling linkedin profile for job search. I then asked him how many times does it show that his background has appeared in search results (about half of what the number should be weekly – he’s getting in 12-15 search results – should be 20-25). I asked him how many times his profile had been viewed (again half the recommended volume – he’s at 5-7 and it should be 10-15). Obviously, he’s not optimized his LinkedIn Profile to appear in searches by recruiters, HR professionals, and hiring managers. I asked him if he’s active in groups, Questions/Answers, status updates – his response was basically inactive. Obviously, he’s not using the multitude of FREE tools that LinkedIn provides for job seekers to enhance job search networking and referrals. This is one small element of an overall effective job search – but indicative of all the other things he should be doing and is NOT doing. It’s unfortunate that he’s been out of work for almost a year – his job search should have been over in 4-6 months if he had conducted an effective job search. Would You Like To Be Part of Our Research Study? We are going to undertake a research study using the Key Elements of our Job Search Assessment Tool which follows the format of our Job Search Methodology. (You can download the Job Search Assessment Tool for FREE by clicking here). One group will be those unsuspecting candidates that I interview and ask questions about their job search – we’ll correlate their length of unemployment with their job search effectiveness. The second group – for which we need volunteers – are those executive level candidates (VP title and annual compensation of at least $150K) who would like to go through an intensive FREE course and coaching program of using our Job Search Success Methodology. We’ll track the time it takes you to find a new job using our approach. This FREE course and coaching program will be an abbreviated version of our formal executive job search coaching program. My hypothesis is that those who are willing to invest the time and energy in our job search methodology will see a 50% reduction in the time it takes to find a new job. If the average length of time to find a job in your given profession, industry, or geography is one year – you should be able to reduce that to 6 months or less using our methodology. This is an intensive, rigorous, focused approach to job search. You’ll probably spend 60-80 hours a week on the process. You’ll be held accountable for completing assignments and tasks or you’ll be dropped from the course if you cannot keep up with the pace OR you’re not motivated to find a great job quickly. Not everyone will be accepted into this free course and coaching program. We will only take the first 25 applicants that can pass a rigorous screening interview with high standards for excellence, commitment, stick-to-it mentality, initiative, and focus. If you’re interested in being part of this select group, write a comment to this blog post and I’ll follow-up with you. Download the FREE Chapter on phone interviewing in our Career Success Methodology by clicking here. Download some of the FREE Audio Programs in our extensive library by clicking here. Then decide if you want to raise your hand and be considered for this exclusive and elite FREE coaching program. Can You Be Fired From Your Job Over On-Line Comments? 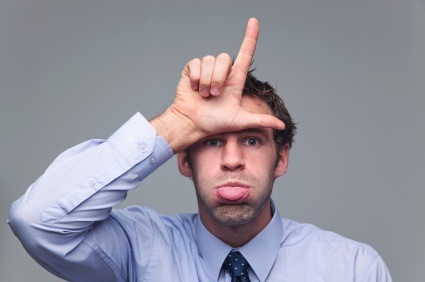 In the past we have seen people losing their jobs for bad mouthing their companies on Twitter and on blog posts. It turns out that the same can happen with blog comments, even if you are not the one writing the comments! Confusing? Well, here is what happened. Around one month ago Skype hired Madhu Yarlagadda, a former Yahoo! employee, to be the new Chief Development Officer. Once the news got out, TechCrunch wrote a post reporting the news. Once the post was a live a bunch of people started leaving comments criticizing and openly insulting Madhu Yarlagadda. These were presumably people who had worked with or for him in the past, and they were claiming he was “dishonest,” “political” and things like that. You’ll still find some of the comments on the post, but the heaviest ones were deleted by TechCrunch, since Madhu threatened to take legal action. The result? Madhu left the company just one month after joining. The takeaway message? I am guessing there are many. For one, people are reading blogs, including the comments! Another one would be: be careful with what you put on the Internet. As an executive recruiter, I don’t see a lot of this public bashing going on (yet). I do perceive that the increasing ability for individuals to communicate through social media will increase “haters” comments. However, most people will only post “hater” comments when they’ve been mistreated, abused, and wronged. Imagine all those employees out there who’ve been mistreated, abused, wronged, stomped on, screwed over, back-stabbed, lied to, and humiliated by former bosses. Imagine the ability of these folks to go on-line and vent – just like in this case. I’m a firm believer of “what goes around – comes around”. You mistreat people – it will come back to bite you. Here’s a good example: I’m a high school basketball coach. Our former varsity coach left to go to another school. Before he left, he gave an “unfavorable” comment in a published interview about our parents, administration, and players. Some of our parents and players also felt he had wronged them over time. When the local paper published their announcement of his new position, parents commented on the on-line version of the article – it was a nasty, drag through the mud, public dogfight. The varsity coach almost lost his new job. At a minimum, he goes into this new job with a huge cloud over his head and is now under the microscope from parents, school administration, and players. His reputation is damaged and those “comments” are indexed forever on-line. Probably not the way anyone would like to start a new job. Moral of the story – be careful how you treat others. 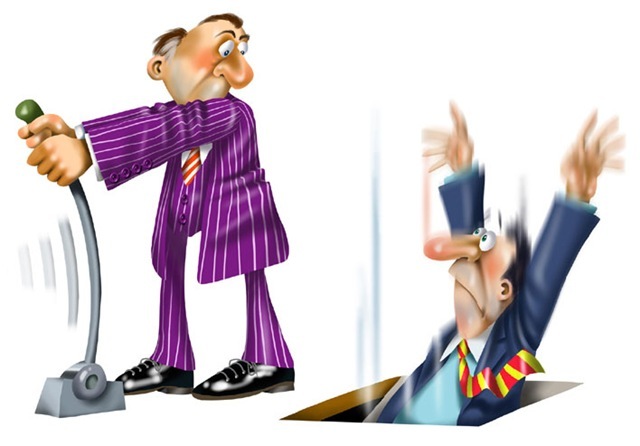 “What goes around – truly does come around.” And with the rising trend of people engaging in social media, including blog reading, you run the danger of having your “mistakes” come back and bite you – or at the very least – haunt you! Are you at risk in your job search of negative comments and information following you around? Is your reputation being damaged without your knowledge? Have you done something to encourage people to post angry and negative comments about yourself? Did you know that more and more employers are checking out your on-line reputation before hiring you? When was the last time you conducted a check-up on your on-line reputation for your job search? P.S. Conducting an assessment of your job search preparation might help to highlight potentially damaging or negative information that could impact your job search. Click here to take our Job Search Self-Assessment yet? Job Search Booster Shot – Is LinkedIn Working for You? A lot of candidates have given up on LinkedIn. I probably speak with 20-30 executive candidates a week who’ve been out of work over a year. When I ask about their thoughts of using LinkedIn to find a job – I can almost hear the frowns and sour expressions over the phone. Are you getting job leads and referrals through LinkedIn? If you are getting an adequate level of job leads and referrals – STOP now – No need to read further. If on the other hand – you’re not getting enough job leads and referrals, let’s discuss how you can give a “booster shot” to your use of LinkedIn as a powerful tool in your job search. Before we delve deeper into this amazing tool – I would like to suggest you download our FREE LinkedIn Profile Self-Assessment. Thousands of candidates have taken the LinkedIn Profile Self-Assessment and have dramatically improved their chances of being identified in a search. 5-7 direct inquiries per week from recruiters, hiring managers, or HR staff. 2-3 phone interviews per week based on recruiters/HR finding your resume on LinkedIn. if you could obtain these metrics for investing 10-12 hours per week on LinkedIn, would the investment be a good use of your time? Let’s tackle the first element on the assessment – your complete work history. I’m probably sounding like a broken record – you’ve heard me say it over and over again – LinkedIn is one of the greatest tools ever created for Job Search. The problem is like most tools – you’ve got to practice using it, you’ve got to have the skill to use it properly, and it takes time to truly master how it can help your job search. Let’s step through line-by-line the various elements on our LinkedIn Profile Self-Assessment. Upon finishing this blog series, you’ll have the knowledge and skills to master LinkedIn to drive the type of job search metrics listed above. Do you have your full work history described in detail under your profile? Does it match up with your resume. Many employers are now verifying that your LinkedIn Profile is consistent with your resume. Have you benchmarked your career trajectory with other top talent in your industry – functional area? If you network with other people just like you – how do their profiles compare with your profile? Are there people within your functional area or industry that are considered top talent – what do their profiles look like? When recruiters, hiring managers, or human resource staff are conducting searches on LinkedIn for people just like you – what words and phrases are they using? How would you find out? ASK THEM! What is the most impressive element of your work history? What’s the one or two things a potential employer/recruiter might say “WOW” if they saw it on your profile? What gave you a “WOW” jolt when you looked at other comparable profiles? Do you highlight these “WOW” factors to stand out. Are you searching for everyone at your former companies that are either currently employed at that company or are alumni of the company? This is a group that would be more than willing to help you. You’re part of their village. You’re one of the clan. When learning of your alumni status, most people would go out of their way to help you. Are you searching their connections for leads/connections to potential hiring managers, recruiters, or HR staff? Are you elaborating upon your background by creating blog posts, Slideshare presentations, and box.net documents? Have you added video and audio elements to your profile to expand upon your work history? Are you sharing this additional content. You should be thinking content marketing and distribution to grab the attention of potential hiring managers, recruiters and HR staff? Are any of your peers using content to improve their exposure and visibility? 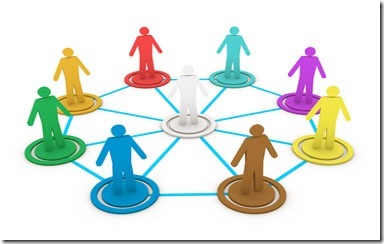 When you hear of an job opportunity, do you search your extensive network on LinkedIn to see if someone is connected that might help you. 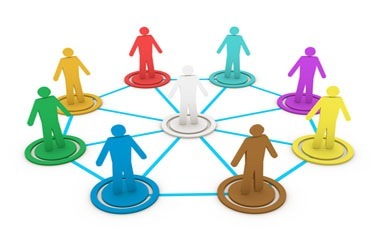 If you’ve focused your efforts on connecting with appropriate job search contacts, after a year I would think your network should be in the 1,500-2,000 contact range with a potential reach in the 250,000 contact range through 2nd level contacts. The final step in leveraging your LinkedIn profile is to optimize it so that you can be “found high in the search results”. My partner, Brad Remillard, just completed a webinar on this topic. You can still buy the presentation and slide deck. It doesn’t do you any good if you come up in a search results on page 14 or 15. Is your profile embedded in the right places with the right keywords so that when hiring managers, recruiters, and HR staff are conducting searches – you pop up in the first few pages of search results. If you’re profile is not optimized for search on LinkedIn, you’re probably never going to be called or contacted since most individuals in the hiring profession will not bother to view search results 9 pages deep. A quick and dirty method to determine if your profile is optimized for search is to look at the ratio between total searches done in which your profile appears compared to the total number of direct profile views. If this ratio is less than 50%, your profile is probably not effectively optimized. In our next blog post, we’ll focus on how to properly convey your accomplishments and achievements in your LinkedIn Profile. P.S. Don’t forget to download the LinkedIn Profile Self-Assessment so that you can determine your starting point and what is needed to improve your profile so that you stand out to hiring managers, recruiters, and HR staff. Why Don’t Candidates Use LinkedIn Effectively? Are you leveraging LinkedIn in your job search? If not, you could be dragging your job search on for a longer period of time than is necessary. LinkedIn provides one of the greatest sets of job search tools – practically for FREE! Why then are so many candidates so bad at using it for their job search? This just makes no sense to me. If you’re in a job search, help me to understand why you’re not effectively using LinkedIn to cut the time it takes to find a great job by at least 50%. Here’s a great fresh example: I was interviewing a candidate for National Sales Manager Position this morning. This is a senior level job – compensation is in the $150K-$200K range. She’s been out of work for an entire year. I asked her how many phone interviews she had in the last year. Her answer was “roughly about 10”. I asked her how many physical interviews she had in the last year. Her answer was “less than 5.” Her activity level is so low it would have been a miracle to get a job offer. You’re NOT effectively using LinkedIn. You might not be found by a hiring manager or recruiting unless pure random luck intervened. You’re lurking. You’ve faded into the woodwork. You’re invisible. Ability to easily build a powerful network to generate an abundance of job leads and referrals. I’m almost embarrassed to ask candidates about their use of LinkedIn in a job search. When I hear their answer of how much they think they are using it and how they see themselves as a “power” user of LinkedIn for Job Search – I want to double over in laughter. I know that in 99% of the time when I go to look them up on LinkedIn, their activity level and sophistication of using LinkedIn is usually in the bottom 10%. There is NO EXCUSE not to become a power user of LinkedIn for Job Search. The resources are astounding. For example, Brad and I have authored numerous articles, blog posts, and radio programs on this subject. We’ve got FREE tools to help you – such as our LinkedIn Profile Self-Assessment Scorecard which you can get by clicking here. Special NOTE: My partner Brad Remillard is facilitating an upcoming inexpensive Webinar on How to Use LinkedIn to pop to the top of a hiring manager/recruiters search for candidates? Can you afford to end up on page 3 of a search a recruiter is conducting for someone just like you? If you’re not on page 1 – you’ll never have a chance to get noticed. Check out the description of this LinkedIn Webinar by clicking here. I’m really excited about this unique technique Brad has developed to get you to the top of LinkedIn Candidate Searches by Hiring Managers and Recruiters. This technique of leveraging “SEO” on LinkedIn for your profile is just one of the hundreds you can use to dramatically improve the effectiveness of your job search. I am currently reading the book, “The Snowball: Warren Buffet and the Business of Life” by Alice Schroeder. It is an interesting biography on Warren Buffet’s life starting as a small child. Some of the more interesting parts highlight what influenced his thought processes about everything from money to how he treats people. I haven’t finished the book yet, but as I was reading it two sentences stood out. To me, these two sentences explained exactly why so many candidates stay in a job search so much longer than need be. I have known this for a long time. The candidates I work with one-on-one in our job search coaching programs often start out the same way. I interview and speak with hundreds of candidates a month. It use to surprise me the number of people who acted this way. Not any more, I just accept it. I don’t understand it, but I do accept it. When Warren was a teenager he read the book, “How to Make Friends and Influence People” by Dale Carnegie. Just about everyone has heard of this book. His biography addresses the impact this book had on him. How it “honed his natural wit, above all it enhanced his persuasiveness, his flair for salesmanship.” Obviously, this one book influenced him so much that decades later he still remembered it and gave it credit. Few, my guess less than 10% do as Warren did. Read the sentences again. Does anything stand out to you as it did me? What did Warren Buffet do different than all the others? I see this constantly. People will return our job search workbook with a note, “Already know all this stuff.” At first I was stunned. When we wrote the book we spent an extensive amount of time identifying the mistakes candidates continually make. We then worked extremely hard to provide solutions to those mistakes. So it struck me as strange, that so many people knew all these mistakes, but just kept making them. How could this be? I’m sure the many other excellent authors of books on this subject have experienced the same thing. Since you already know the only three things which can be measured during a phone interview, what do you do to properly prepare? As you know, there are only three types of questions asked in an interview. How do you identify which type of question is being asked and how do you prepare for each type of question? Of the ten most important questions to ask in an interview, which ones in your opinion were most helpful and of those which ones do you use most often? How long have you been using the cover letter we recommend and what has been your experience with this style? How often have you found yourself in anyone of the 5 positions in the Circle of Transition and how do you handle it? This could be really helpful to other candidates? How is your networking business card different from your interviewing business card? It didn’t take long to discover these people may have read the book, but unlike Warren Buffet, they didn’t embrace the ideas with “unusual concentration.” Instead it was, “Gee I already know this stuff.” When in fact, from their answers, they had no idea what mistakes they were making and how the book provides solutions. Warren Buffet read Dale Carnegie’s book over and over again. He referred back to it time and time again. He practiced regularly. When he failed it was back to the book. That is what made him unique. He didn’t just know it all, he implemented the concepts. He didn’t blame the book when things went wrong, he adjusted and tried again. I know from the one-on-one job search coaching we do, when we get candidates to stop knowing everything and start doing things the right way, they find job leads that eventually lead to offers and employment. Although it might appear as an attempt to sell our book it really isn’t. There are many great resources available to candidates. Many are 100% free. It is positively an attempt to get candidates to stop saying, “Gee, that makes sense, but I already know it.” It is positively an attempt to get candidates to learn from Warren Buffet. To get candidates to refer back time and time again to excellent resources. To re-read the books, re-listen to the audio recordings and to take this advice to heart with “unusual concentration” as Warren Buffet did. I have discovered the reason there is so much written for job seekers is because job seekers need so much help. If candidates did everything so perfectly there wouldn’t be a need for all the books, blogs, articles and webinars. The next time you read anything designed to help you in your job search don’t let your first thought be, “Gee, I already know that.” Rather force yourself instead to ask, “Good advice. How am I implementing that in my job search?” Attack it the same vigor and “unusual concentration” as Warren Buffet. Try this approach first and you will find yourself gainfully employed a whole lot sooner. OK, now this is a blatant attempt to sell you a book. You can get our job search workbook to review for free. Just pay the $5 shipping. For details on this offer CLICK HERE. Test your job search effectiveness by downloading our free Job Search Plan Assessment Scorecard. Find the strengths and weaknesses in your job search. Then attack the weaknesses with “unusual concentration.” CLICK HERE to download. For a FREE example of a cover letter that recruiters, HR and hiring authorities like and will get your resume read, CLICK HERE. I welcome your comments, thoughts and feedback. In our last blog post, we built the foundation for why it’s important to update your status on LinkedIn You can read the previous blog post, by CLICKING HERE. Let’s take the conversation down from 40,000 ft. to ground level. As a job seeker, how can you effectively use status updates on LinkedIn for your job search? You just responded to a job advertisement at XYZ company.Why not tell your network and ask if anyone knows someone at the company? Amazing – 4 people in your network knew an executive at the company and would be happy to call on your behalf. Two were vendors, one was a former employee, and one was a key customer. In addition, two people raised their hands and shared with you that they used to work at XYZ company and know the executive in charge of hiring for this position. You just received a phone call and the company would like you to interview for a position. Amazing – 3 people in your network have interviewed with that executive before and all had the same type of interview- right down to the 15th question. Now you’re prepared for what may be asked. You would like to connect with a particular Retained Executive Recruiter – you’ve tried, but you cannot break through the steel door protecting the inner sanctum. Amazing – you post a status update that you are trying to connect with Barry Deutsch. 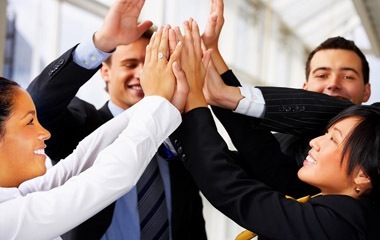 Within 48 hours, 15 members of your network have responded – 4 executives have used Barry on a search, 7 executives have been placed in key roles by Barry, and 8 executives in your network are customers of IMPACT Hiring Solutions, having bought products and services in the past. Within 24 hours, 19 people have raised their hands and offered to provide a strong, intimate, hot personal referral to Barry Deutsch that is guaranteed to not only have Barry return the call – but he’ll probably proactively pick up the phone and call you! This list is endless in the ways you can leverage your LinkedIn Status Updates to communicate and share with your network. Perhaps, most importantly you keep a top-of-the-mind presence with your entire network. What could be easier – 30 seconds a day each day – and now your name – your brand – is once again in front of your entire network. Sharing something I did that is relevant to my network (by describing what I am doing professionally – not personally such as “Now I’m brushing my teeth” or “Grandma made a mean meatloaf tonight”. Sharing a link to a great blog post, web page, tool, download, upcoming webinar – something that you felt might be useful to your network. Remember – one of the basic fundamental elements of effective networking is helping your network – giving back. Status updates is a powerful tool to give back to your network and to be seen as “useful” and “helpful”. This is social networking and social media 101. Finally, once you’ve done this on LinkedIn, you can extend the same strategies to all the other social media and networking sites. Do you use Google Buzz/Reader to share information with your network? Are you on Facebook and continually updating your status? Twitter is the extreme example of status updating for your network. And there are many other sites. If you’re not leveraging the real power of social media and networking through status updates – you’re working way too hard to sustain communication with your network. What was the last status update you did on LinkedIn? When was it – 1 week ago, a month ago, 3 months? My partner, Brad Remillard, will be leading a powerful webinar on March 26th to teach you how to leverage all the LinkedIn tools to find your next job through LinkedIn. Are you leaving opportunities on the table because you don’t know how to effectively leverage the tools LinkedIn provides for job seekers? CLICK HERE to sign up right now for this unique LinkedIn Job Search webinar. (NO ONE else is teaching anything remotely like this webinar, which is crammed with so many valuable LinkedIn Job Search Action Items that you will not be able to write them down fast enough). 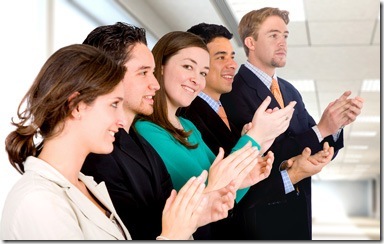 Your network wants to be given an opportunity to clap for you! That’s why you should be updating your status every 24-48 hours. They want to hear about the silly interview questions you’ve been asked, the most intelligent questions, the ones that were easy and ones that stumped you. Your network wants to be able to support you in your job search. If they don’t know what you’re doing, how could they possibly support you? Status updates are the amazing simple short statements about what you’re doing that you feel is important to share with you network. You have 140 characters to type a status update. Each time you type a status update, everyone in your network will see it on their home screen when they view network status updates. This is one of the most powerful tools LinkedIn offers and yet, very few networkers use it – forget effectively – they don’t bother to update their status at all – what a waste of a free networking tool. I am a master networker. Many of you know that I am a LinkedIn Networking Expert. I teach and coach networking to some of the most successful coaches, CEOs, Presidents, and senior executives. How does a master networker and LinkedIn Networking Expert use status updates in social networking? SECRET HINT: Think of your status updates as frequent alerts to keep your network aware of what you’re doing, how it might impact them personally, and as a “marketing” tool to keep your “brand” in a top-of-mind presence with them every single time they log onto LinkedIn. Every day or two, I take a moment and I type a short statement about something I think a large portion of my network on LinkedIn might like to hear about. Are the 3 ideas I got out of the on-line webinar this morning that Brad Remillard taught on Leveraging LinkedIn in your job search (you like the way I worked that shameless plug into my blog post?) valuable to share with others? Only our private job search network of loyal readers here on our blog, in our LinkedIn Discussion Group, and those who have downloaded our FREE Job Search Tools will receive this special discount. If you get ONE great idea from this webinar on how to improve your job search, it will have been worth the investment of time. NOT ONLY will you get one idea, I’ll guarantee you’ll get a dozen ideas that you can immediately implement within hours of completing the webinar. After you finish the webinar, Brad and I would love to hear about the 12 different things you started doing on LinkedIn, such as updating your status more frequently, and which ones immediately started to work for you. PS – would it help if we put together a status update checklist (like a daily dozen status update ideas) that you could use every day to go down the list and say “I did #2 yesterday, today I’ll do #9)? Groucho must not have been conducting a job search when he made that comment. Joining Groups (like clubs) on LinkedIn is an excellent way to engage with people who hold a similar interest, make new contacts, network, and discover hidden job opportunities. Your groups display on your LinkedIn Profile. When I click your profile, I can see which groups we have in common. As a recruiter, I usually focus on searches within groups first due to the ease of contacting other group members. You can post roughly 7500 news feed items per 24 hour period. These can be multiple feeds within the same 24 hour period into the same group. I have not yet done a test to ascertain the precise number. You can post unlimited discussions (I have not come across a limit yet within a 24 hours period. Again, I’ve not tried to test the system by posting more than 50 in a 24 hour period. You can send messages to other group members without using your valuable inmails nor do you have to know the email address. I’m not sure if there is a limit on the number of messages you can send directly to group members. I have yet to hit it if there is a limit. What groups should I join you might ask? Now that I’ve joined a few groups, what should I do next? Even though in a previous post I suggested you not be a lurker, I give you permission to do short-term lurking. Gain a sense of the culture of the group. Review the other messages in the group first. Are group members discussing job search related issues? Are group members supportive of each other? What type of news feeds are being posted into the group? Are there job leads being posted by group members under the jobs tab? How passionate are group members in responding to questions or discussion points? You’ve lurked long enough – it’s time to jump in and become a valuable and active member of the group. You’ll be enhancing your PERSONAL BRAND by establishing your involvement, focus, and expertise in the various groups. You’ll be starting to dramatically expand your connections and the massive net it takes to capture hidden job market leads and referrals. P.S. Don’t forget about the Webinar my partner, Brad Remillard is teaching on March 26th, titled “How to Find Your Next Job on LinkedIn”. See the promotion for the Webinar in our right-hand sidebar.